Ireland has a Working Holiday Agreement with Chile, which means that you can go there for a year to do work, study – whatever you like! You can also go straight to Chile and get a three month tourist visa upon arrival. 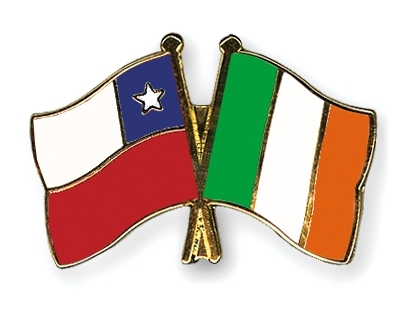 Fortunately, Chile has an embassy in Dublin, while Ireland is planning to open an Embassy in Santiago in early 2019. So you can prepare everything in advance without having to go abroad. Many Irish people go to Chile to teach English, as native English speakers are in huge demand over there. However, it’s important to know beforehand that there are huge differences in the quality of the opportunities you will find. For example, some institutes will pay you two or three times less than others. You may also be offered just a few hours of classes per week with some. For this reason, it’s worth getting a TEFL certification before heading off abroad. Not only will this make you a better teacher, but it will also make it much easier to find quality work in Chile too (in fact, in many countries across the world, TEFL is more or less a necessity to have). Fortunately, TEFL doesn’t cost that much money at all. For example, TEFL Courses Ireland offers a 20-hour weekend course for €229. There are also online courses available at lower prices, however not all of them are held in the same regard by employers abroad so do your research before you sign up. Whether you work full time with an institute, or as a freelancer, is up to you. Full time work with an institute tends to be more stable, offering more security for newcomers to the country. Looking for a school to work with? This useful contact list from LatinAmerica.ie will help. On an unrelated note, you can also find information about renting in Chile here. Discover Chile – the #1 Forum for Expats in Chile and great for general questions about about jobs, rent, etc. The Wild Geese – Chile’s Irish Expat Association is also an excellent place for advice. They are very active in doing business and community events too! Special thanks to Adam Fulham of LatinAmerica.ie for this #3thingstoknow feature. You can also read all about Working Holiday options to Chile and elsewhere on our working abroad page.